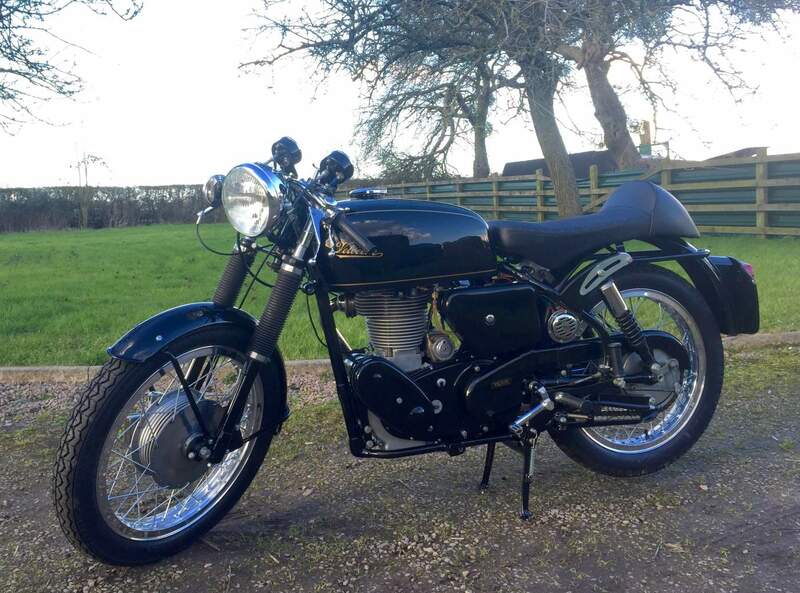 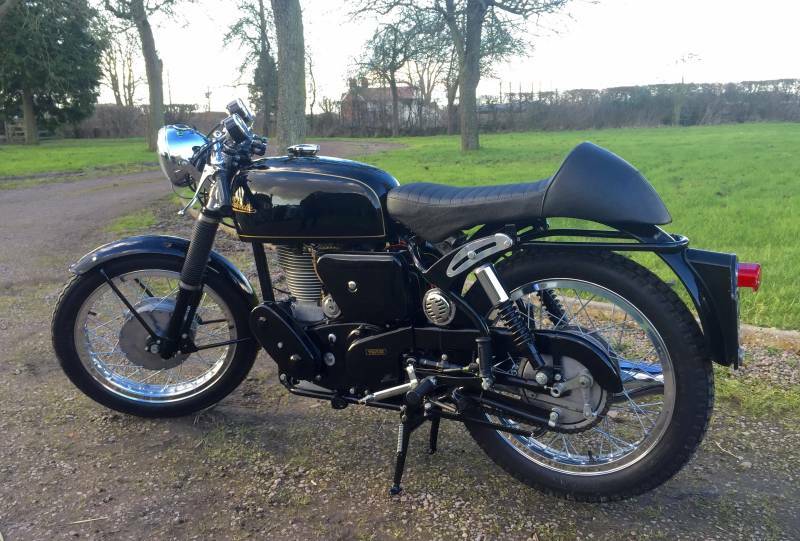 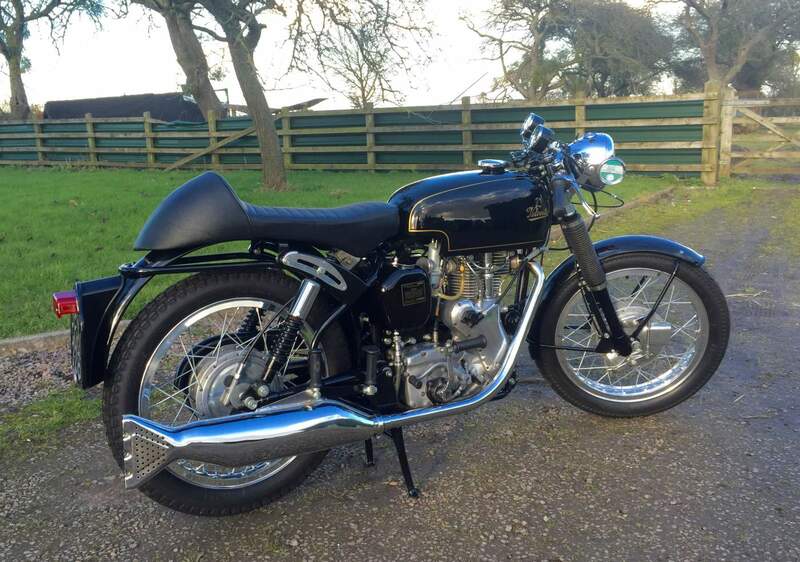 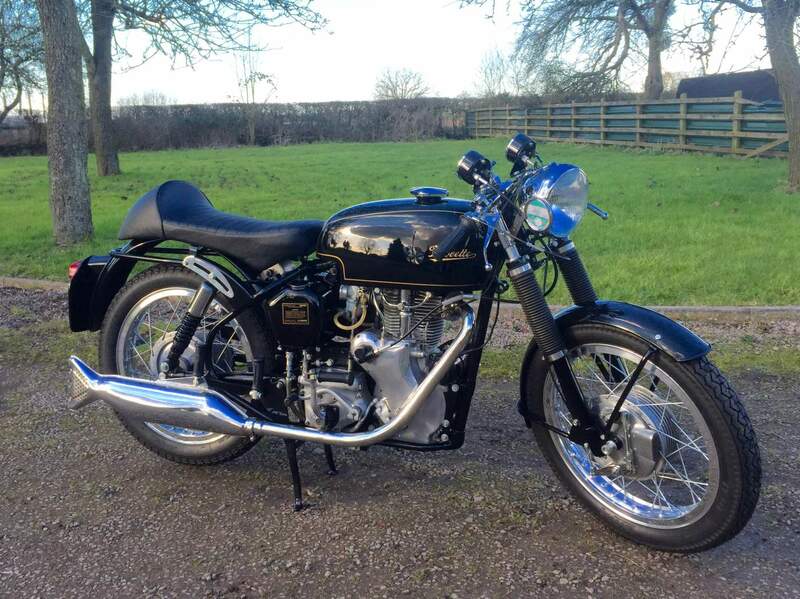 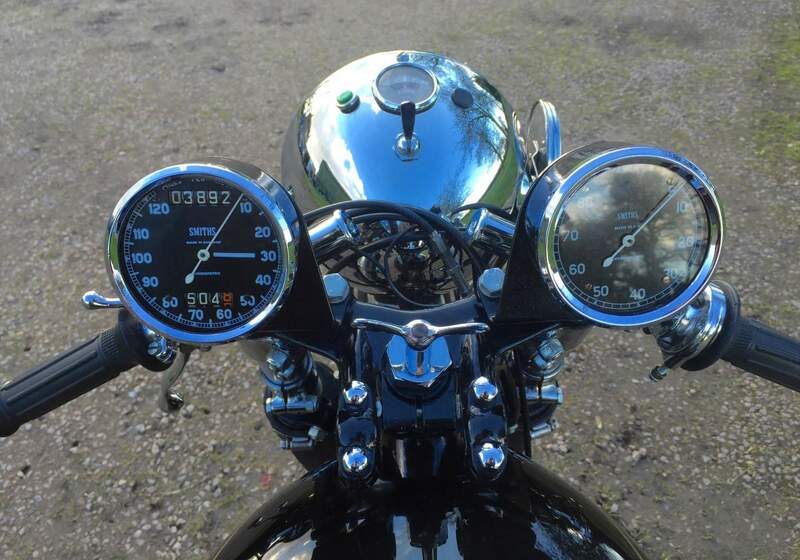 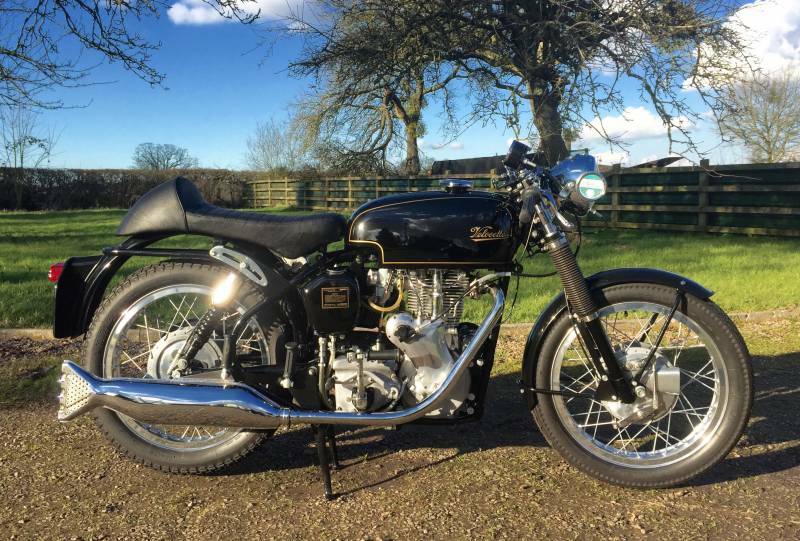 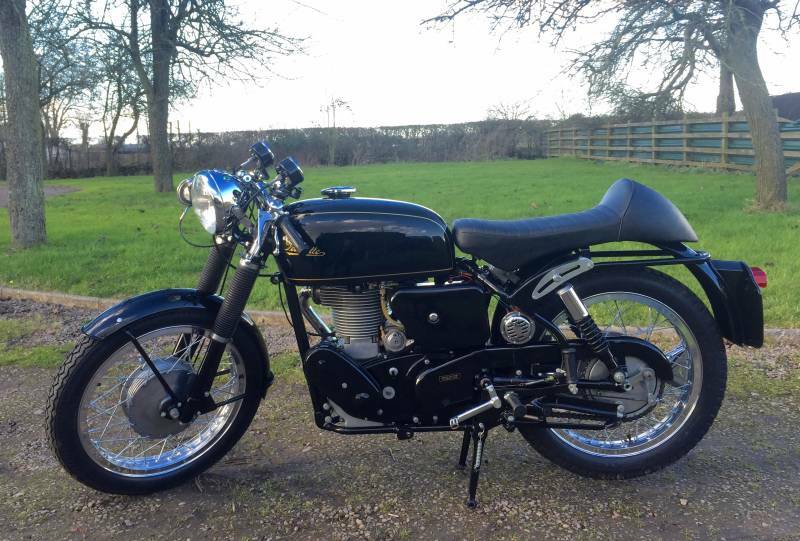 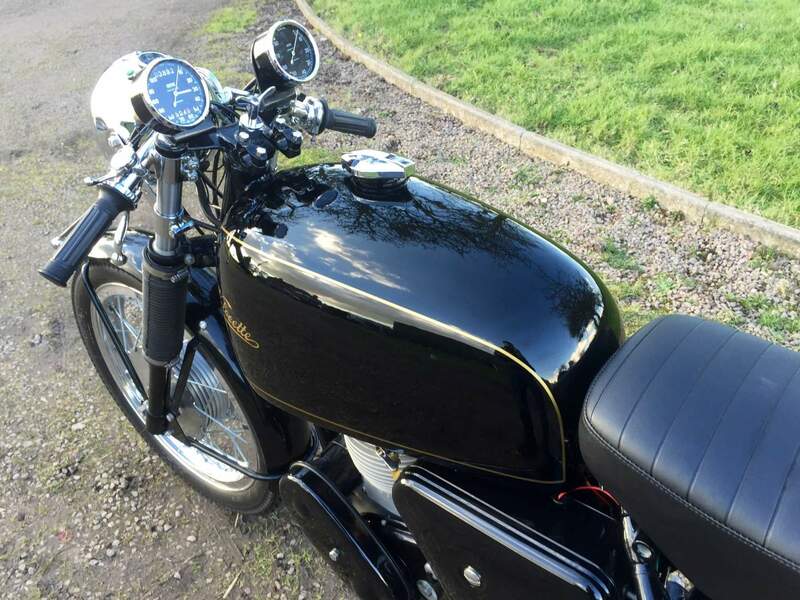 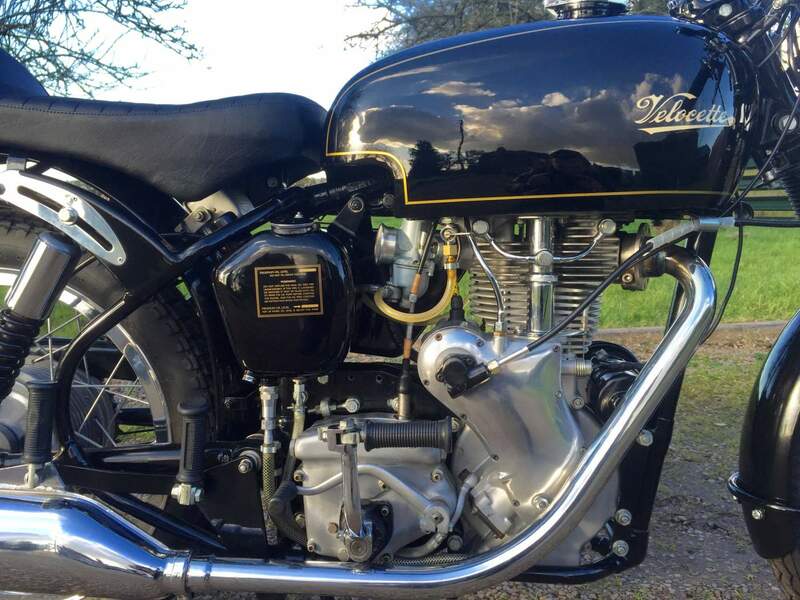 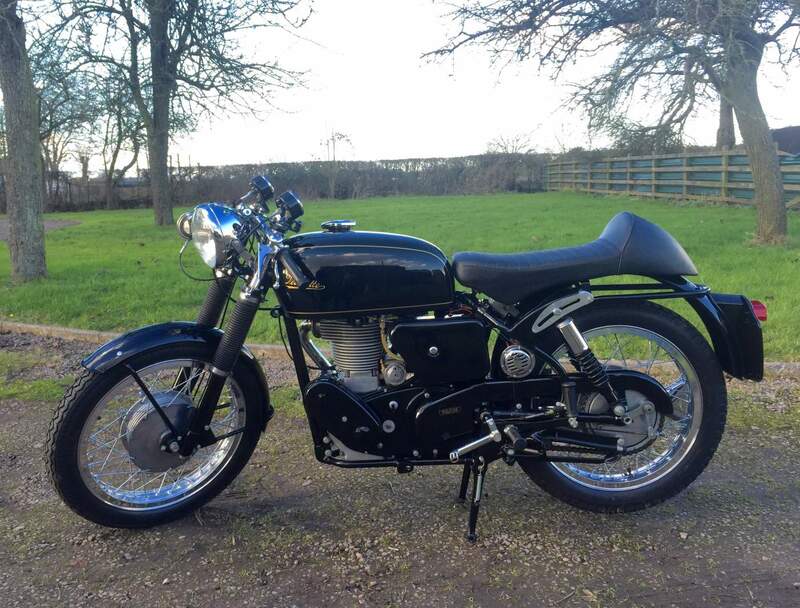 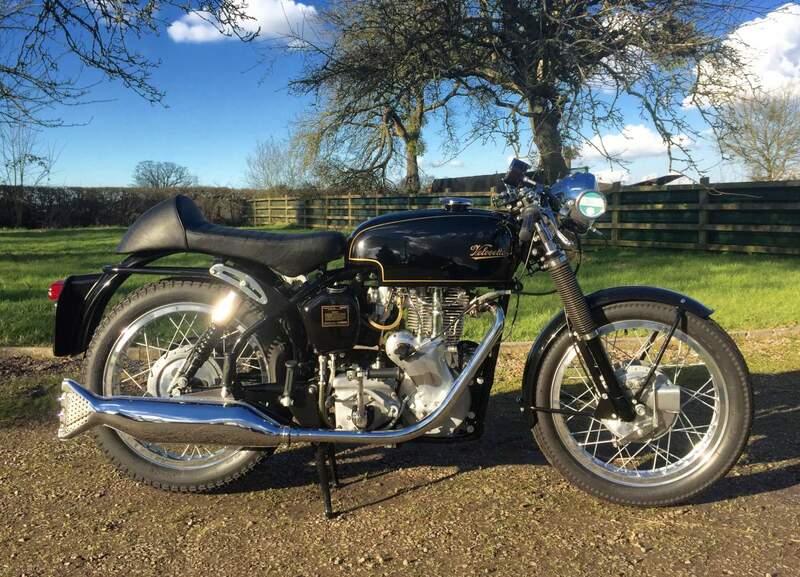 Velocette Thruxton look a like 1960 500cc, This Velo started life as a Venom, now with all the Thruxton goodies including Petrol tank seat( spare twin seat included in the sale) twin chronometric clocks, TLS front brake, Thurston belt drive and clutch. 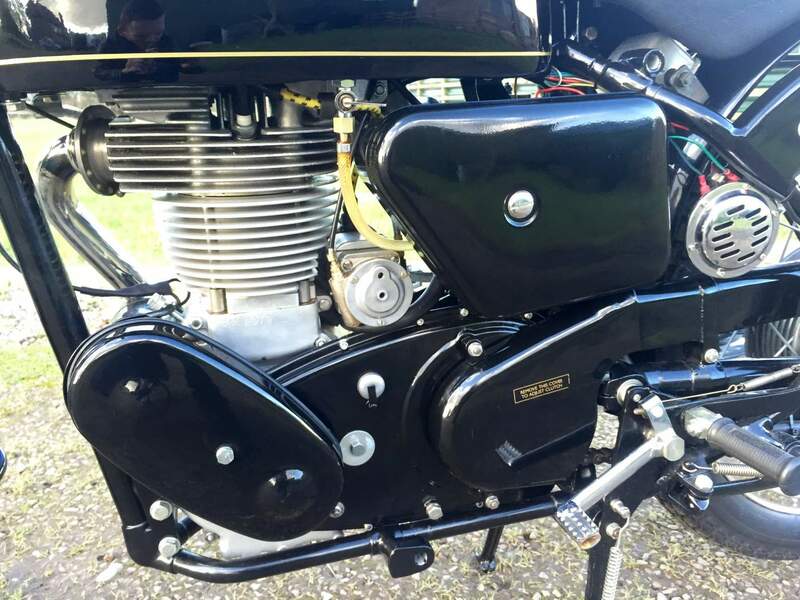 Clipons alloy rims, new tyres, head lamp, close ratio R gearbox, BTH Racing mag, Thurston billet barrel piston and head. 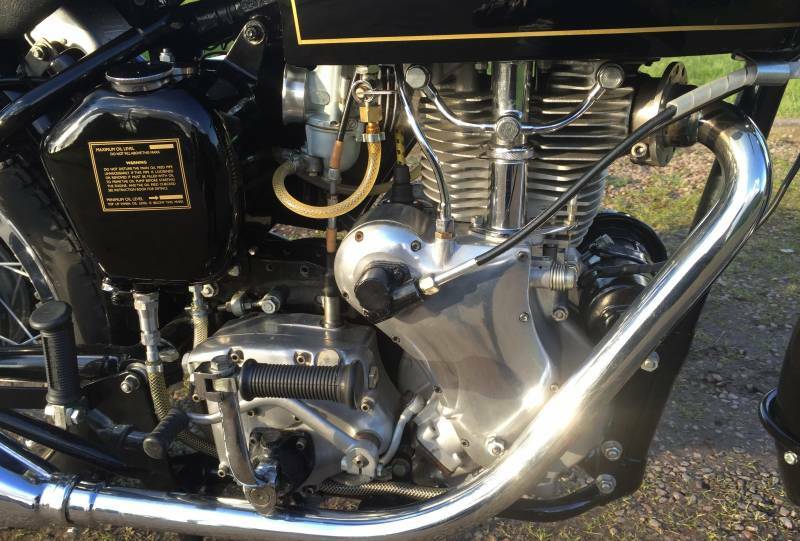 With larger 30mm inlet and new concentric carb. 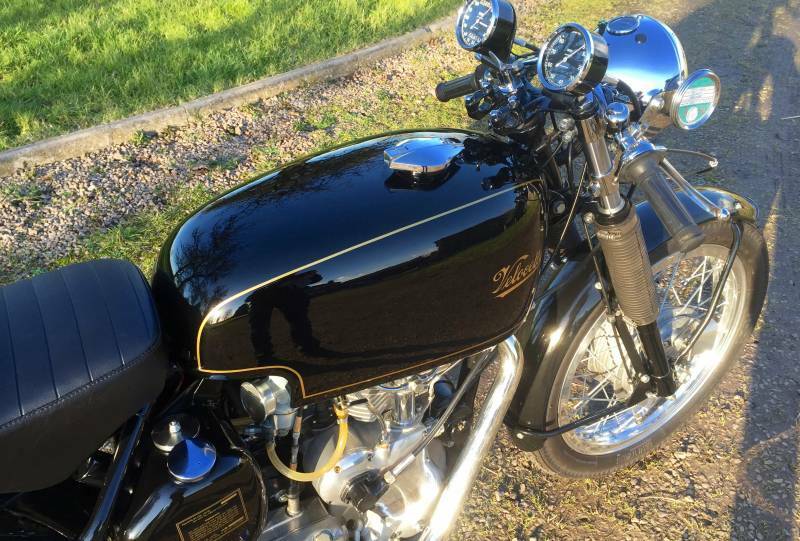 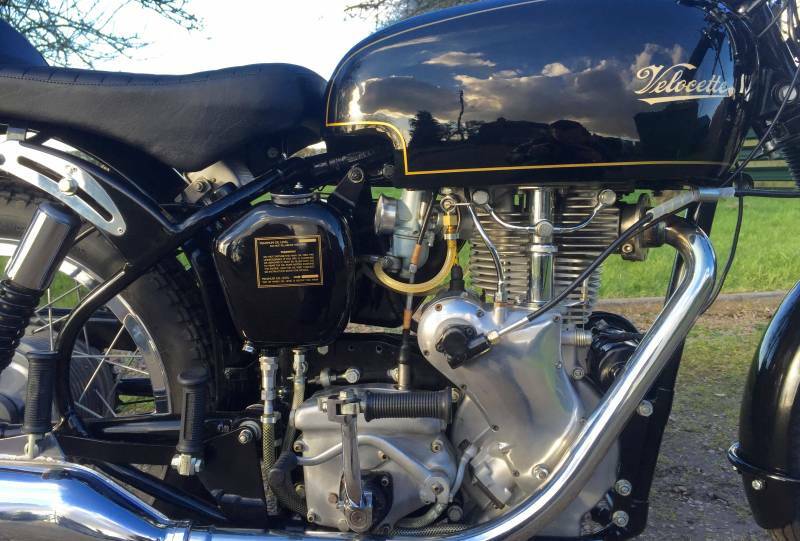 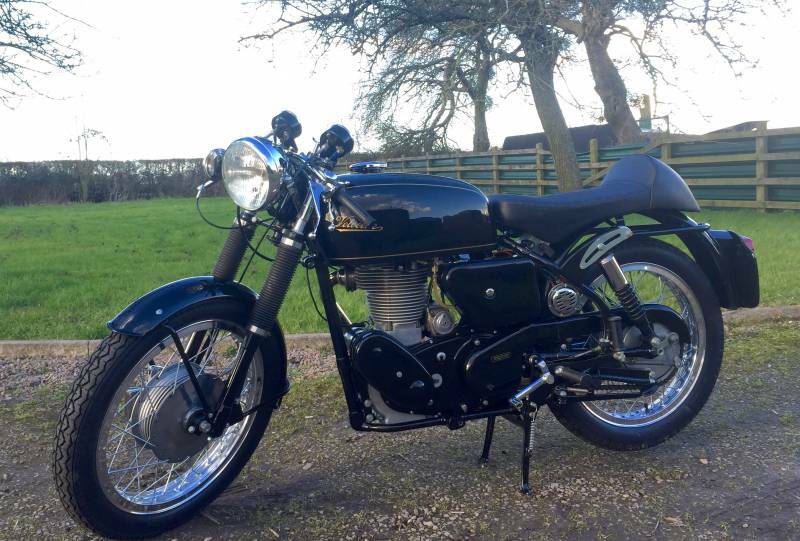 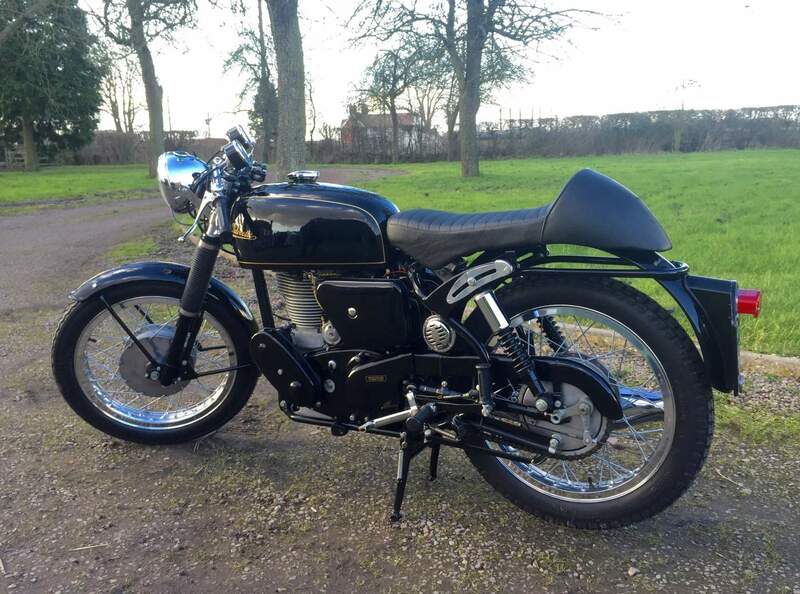 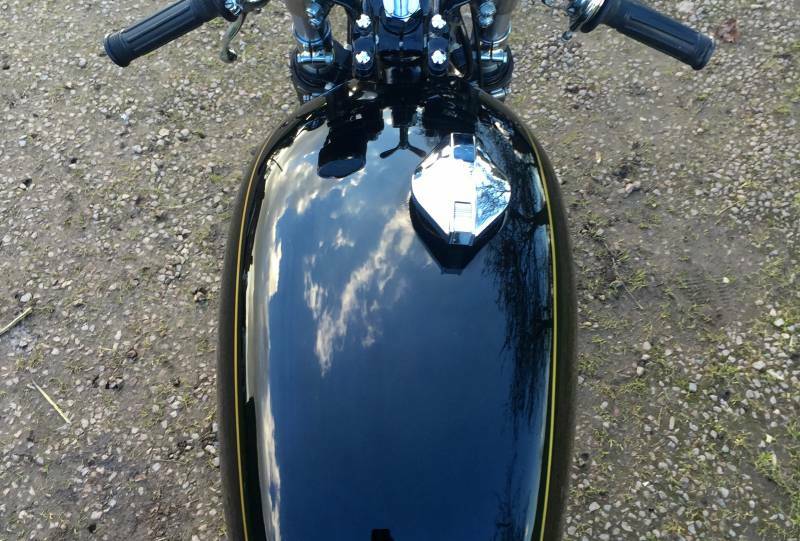 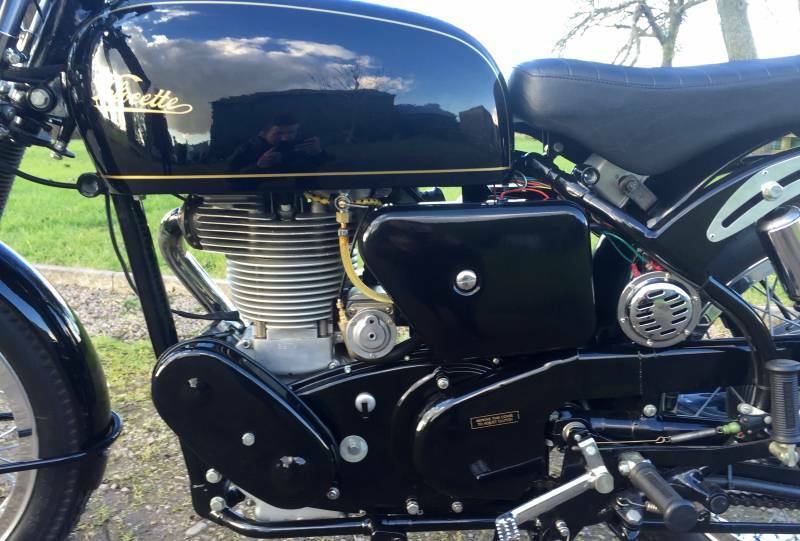 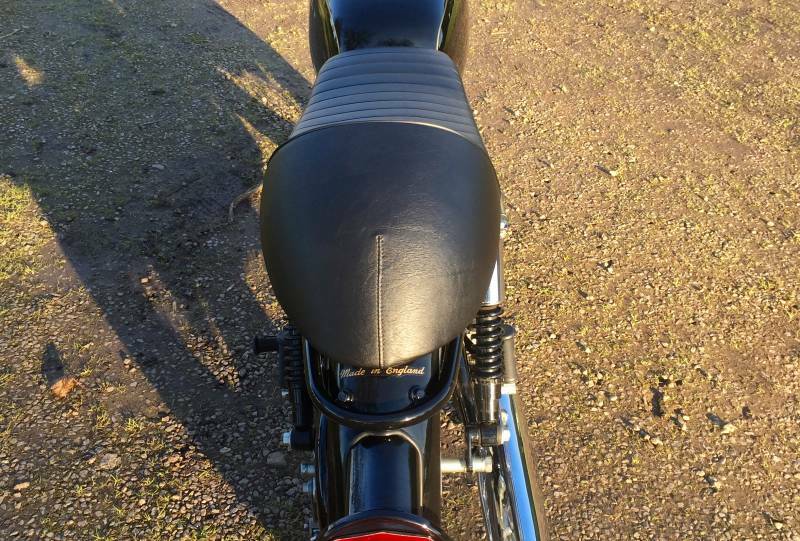 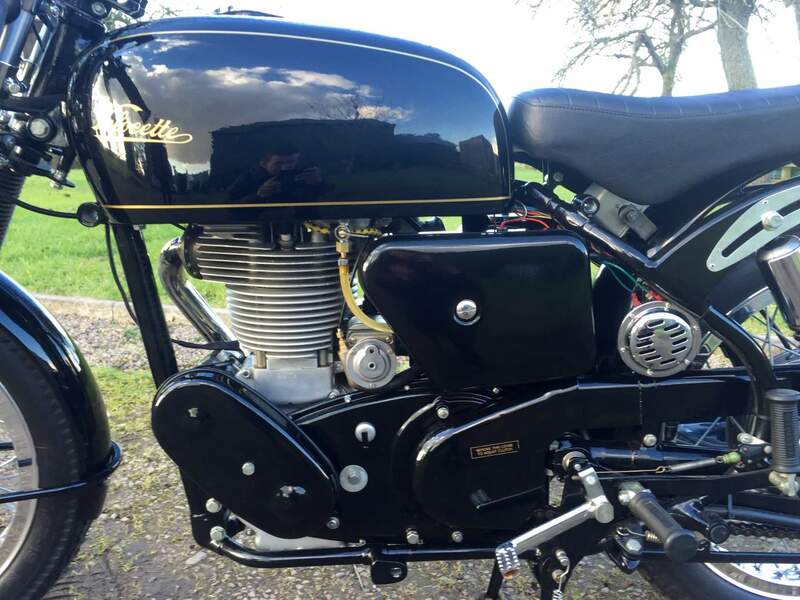 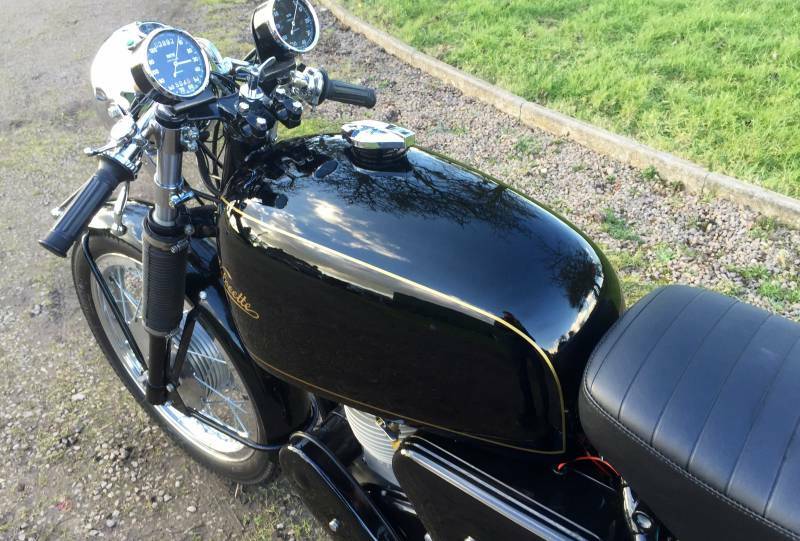 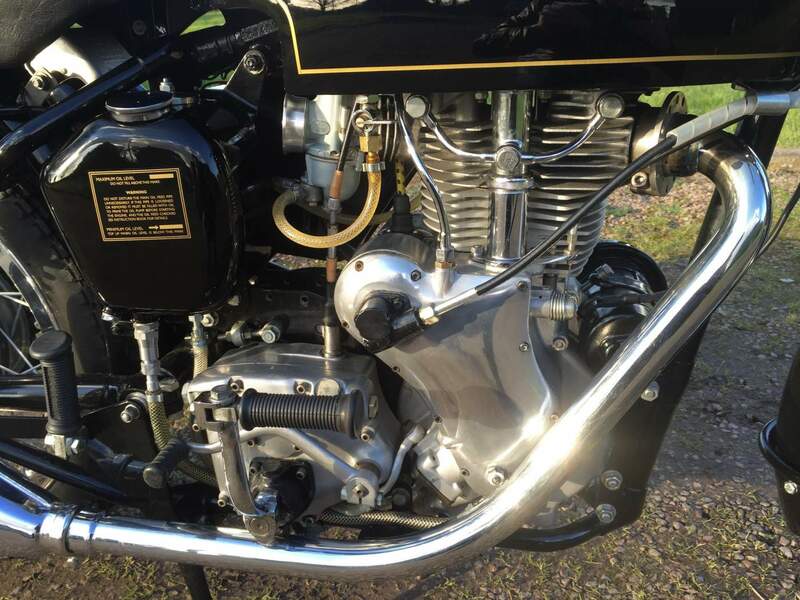 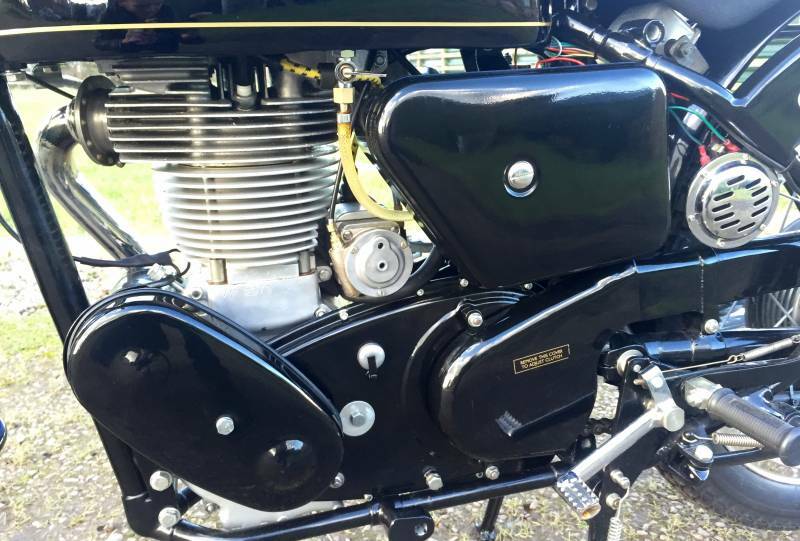 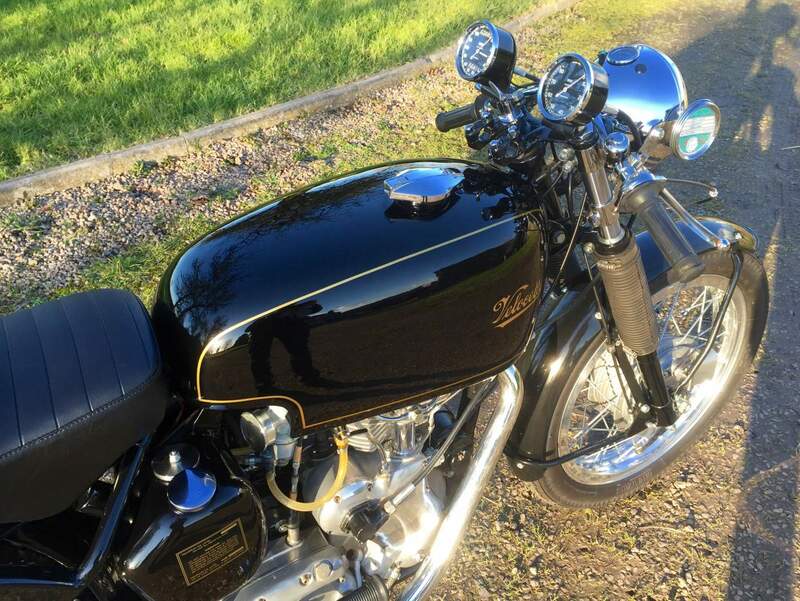 This Velo has been treated to a fine restoration throughout and to a very high standard, Tax and Mot exempt. 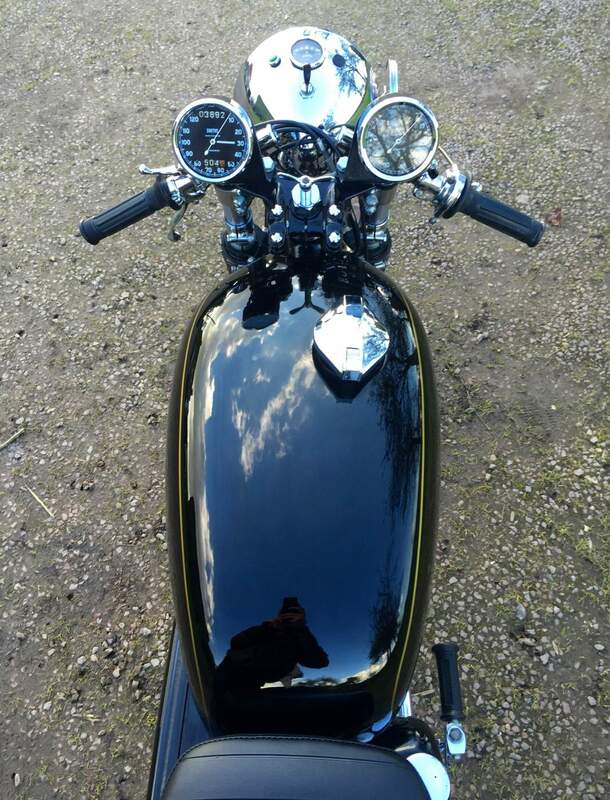 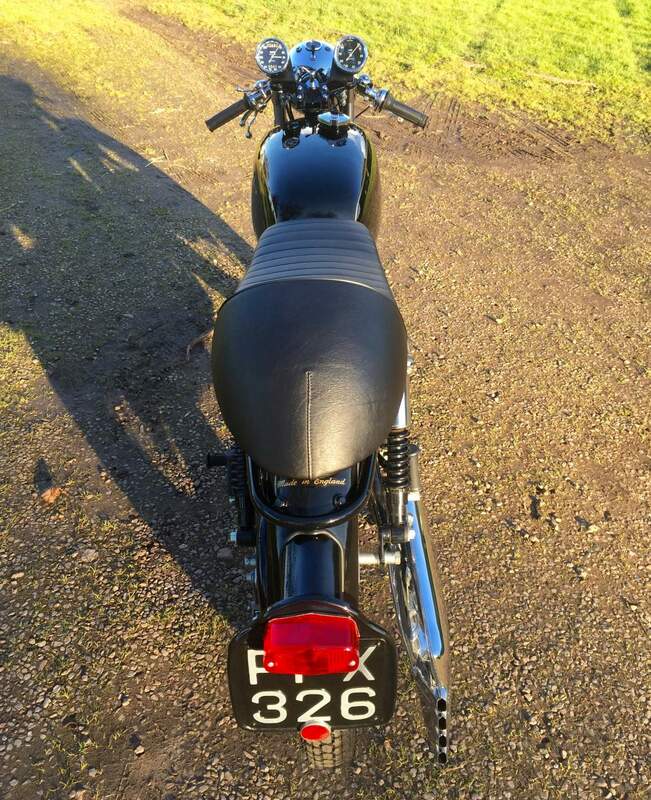 Easier to live with than a Thruxton and at half the price, will make a sound investment .Very easy to start and rides extremely well.